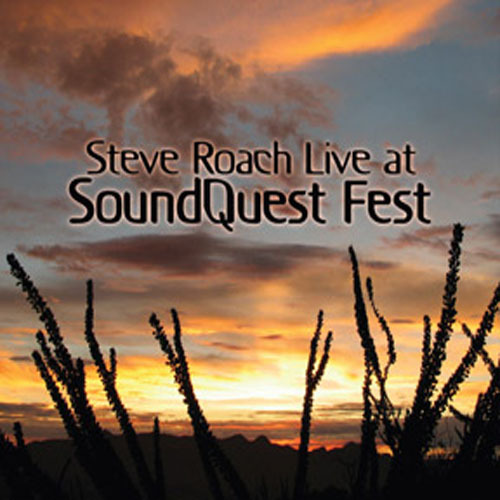 Steve's pinnacle performance from 2010's SoundQuest Fest proved to be a real moment in time, and fortunately it was documented with a high resolution recording that places the listener front and center on that special night. Presented as a single CD, the first 74 minutes of the concert are experienced as it unfolded. Three distinct realms are seamlessly mapped out in this inspired set. The opening starts with a 25-minute piece of perpetual forward motion in the mode of DESTINATION BEYOND, created specially for the concert, carved from pure analog synths and sequencers. 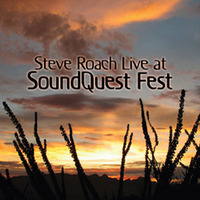 From here we experience an amazing interplay between didgeridoo players Dashmesh Khalsa, Brian Parnham, percussionist Byron Metcalf and Steve performing real-time looping, processing and mixing along with soundworlds, ocarina and voice. This passage is an all-out expression of shamanic ecstasy that boils over into the engulfing tribal trance state of Thunder Walk" from the recent release DREAM TRACKER. The last portion of the set settles into an ultra drifting electro-organic zone. This evocative space, which premiered at the Fest, would soon evolve into the opening of IMMERSION FIVE - CIRCADIAN RHYTHMS."